A revocable POA form grants to an agent of your choice broad powers to handle your financial and personal affairs. For example, it can immediately authorize your agent to conduct banking, transfer stocks and bonds, enter contracts, settle lawsuits, buy and sell property or make gifts to charities on your behalf. Revocable POAs are commonly drafted to be durable, meaning they remain in effect in the eventuality you become temporarily or permanently disabled or otherwise incapacitated. Revocable powers of attorney may not be revoked while you are incompetent, and when you die, the POA automatically terminates. A limited, revocable POA form is used for a specific purpose. For example, if you are going out-of-town during a real estate closing, you can grant an agent the limited power to sign your closing documents in your absence. Generally, limited POAs are not durable since they are for short term usage and expire as soon as that purpose has been fulfilled. Immediately notify your agent if you wish to revoke his limited powers. He can legally act on your behalf up until the time that you clearly direct him not to. A springing POA form grants the power to your agent to act only if and when you become incompetent. Until that time, you maintain full, exclusive control over your finances, and your agent may not use a springing POA without proof that you are incompetent. Generally, this requires one or more of your doctors to certify in writing that you are incompetent. As with other types of revocable POAs, you must be competent when you revoke a springing POA and it terminates upon your death. Springing POAs are not permitted in every state, and not every third party will accept a springing POA. Each state has different requirements for completing POAs. For example, in Maryland, you must sign a POA before a notary public and two witnesses. 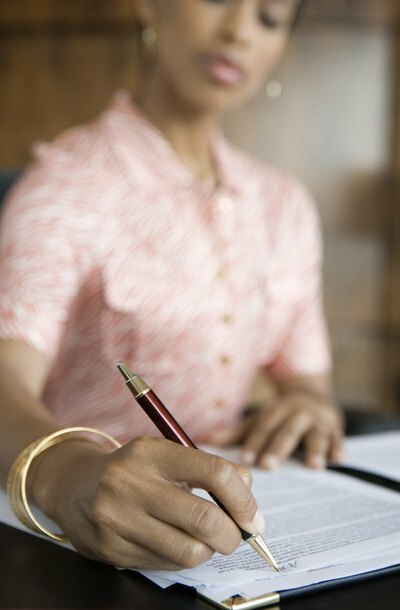 In Michigan, you may sign before two witnesses or only before a notary public. Carefully follow the directions provided with your POA form to ensure it complies with your state's laws. Carefully read any POA form before you sign it, and discuss its meaning with your chosen agent to be sure both of you understand its meaning and legal responsibilities. Lerch, Early and Brewer, Chtd: Maryland’s New Statutory Power of Attorney: Should You Have One? Today's Caregiver: Financial Powers of Attorney: Who Needs One?